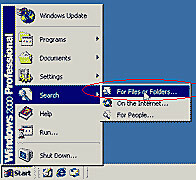 Therefore, to find the dbx file of an Outlook Express mail folder, please go to the Store Folder in Windows Explorer and find the dbx file with the same name as the mail folder. 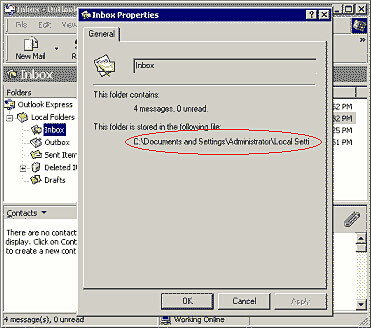 For example, the Inbox.dbx file contains messages that are displayed in the Inbox mail folder in Outlook Express, the Outbox.dbx file contains messages that are displayed in the Outbox mail folder, and so on. 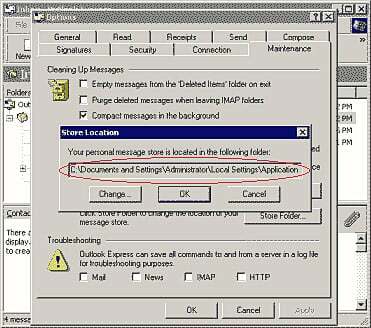 Note: In general, Outlook Express will use different Store Folders for different users on one computer. 3 Input *.dbx as the search criterion and select the locations to be searched. 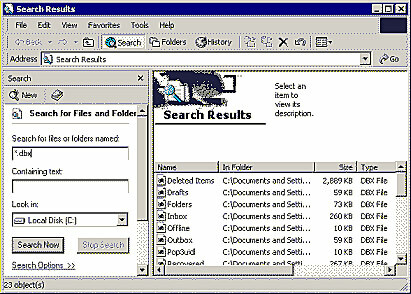 4 Click Search Now to find all .dbx files on the specified locations. 5 In Search Results, you can get the required dbx files.